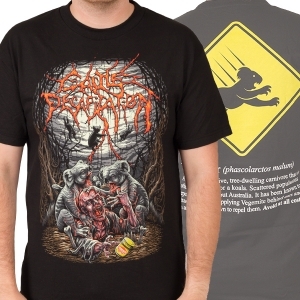 Cattle Decapitation proudly announces collaboration with Gruesome Graphx! 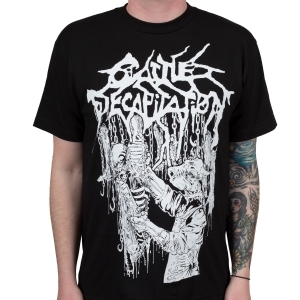 Over the next four months, Cattle Decapitation will be releasing TWO new tee shirt designs each month as a collaboration with long-time friend and colleague-in-carnage, Gruesome Graphx! 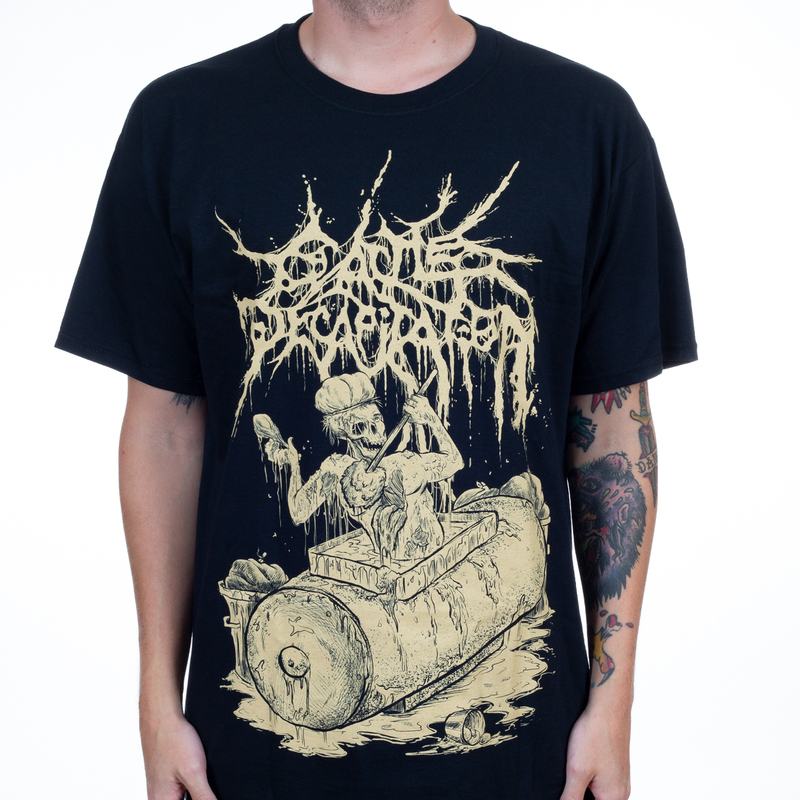 Each shirt will be based on a song from all eight Cattle Decap albums, from Human Jerky to The Anthropocene Extinction (though not in that order). Next up is "Regret and the Grave" from 2009's The Harvest Floor and "Bathing in a Grease Disposal Unit" from 2000's Homovore album. 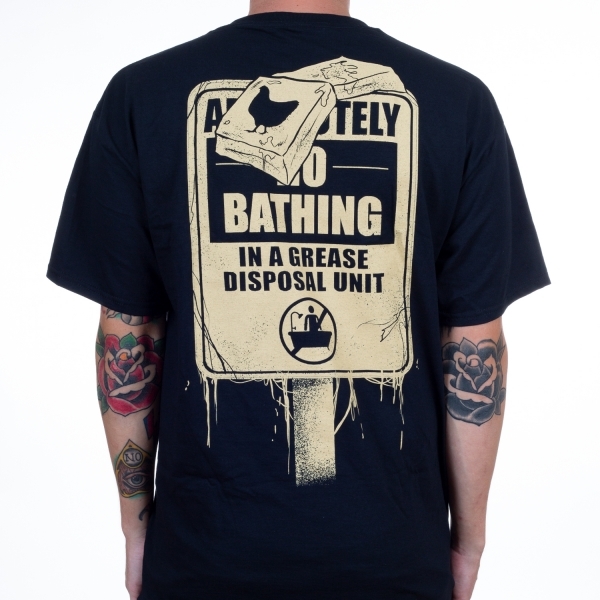 BATHING IN A GREASE DISPOSAL UNIT: The plasma of fast food has to go somewhere... In the recesses of the parking lots at most fast food chains lies the grease disposal unit. A calamitous canister of carcinogenic crude. It lies festering, awaiting its daily meal of used oil now seeping from every pore. For this particular lard lover seen here its bath time! Nasty!! !